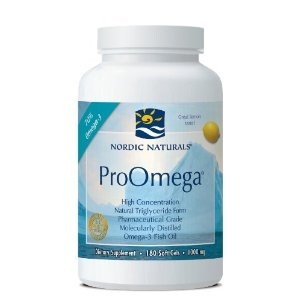 We are a distributor of Nordic Naturals Pro Omega Fish Oil. We chose Nordic Naturals for our patients because they guarantee it's the highest quality fish oil product available. For more information about Nordic Naturals please click on the link provided above. 1. Miljanovi B, Trivedi KA, Dana M, et al. Relation between dietary n-3 and n-6 fatty acids and clinically diagnosed dry eye syndrome in women. Am J Clinical Nutrition, 200582(4):887-893. 2. Seddon JM, Rosner B, et al. Dietary Fat and Risk for Advanced Age-Related Macular Degeneration. Arch Ophthalmol. 2001 119:1191-1199. 4. Seddon JM, George S, Rosner B. Cigarette Smoking, Fish Consumption, Omega-3 Fatty Acid Intake, and Associations with Age-Related Macular Degeneration: the US Twin Study of Age-Related Macular Degeneration. Arch Ophthalmol, 2006124(7):995-1001. 5. Rotstein NP, Politi LE, German OL, et al. Protective effect of docosahexaenoic acid on oxidative stress-induced apoptosis of retina photoreceptors. Invest Ophthalmol Vis Sci 200344:2252-2259. 6. Chucair AJ, Rotstein NP, Sangiovanni JP, et al. Lutein and zeaxanthin protect photoreceptors from apoptosis induced by oxidative stress: relation with docosahexaenoic aced. Invest Ophthalmol Vis Sci 200748:5168-5177. 7. Delcourt C. Application of nutrigenomics in eye health. Forum Nutr 200760:168-175.